In my last post A Tale of Two Station Bars I mentioned how station bars were improving, and specifically how the Wellesley on Waterloo Station in London had upped its game over recent years. 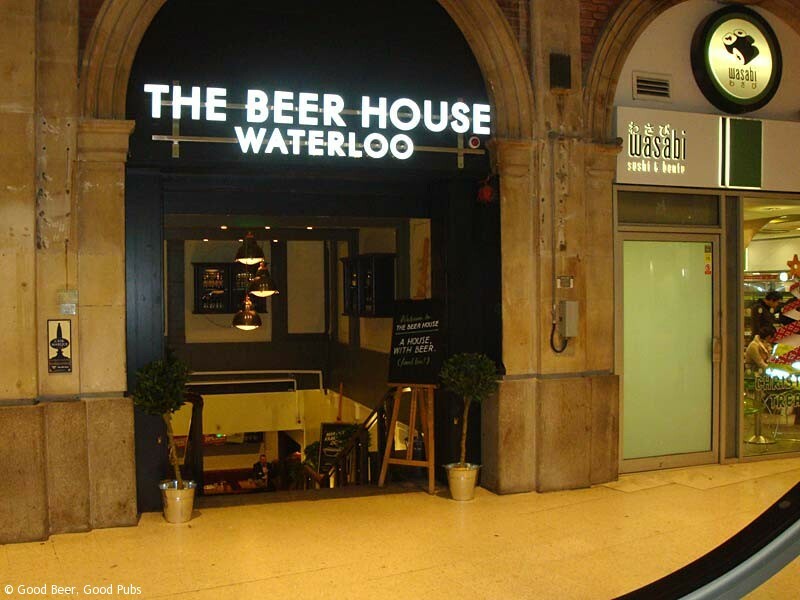 I also mentioned that I was going to try to visit a new station bar called the Beer House at Waterloo – sister pub to the tiny Beer House on Charing Cross station. Well I did, and I discovered that the Beer House has taken over the basement site of the Wellesley. 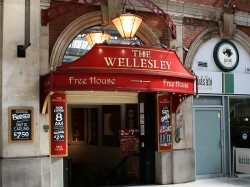 The pub has a new frontage and has lost the old red canopy – possible because of the addition of the escalators up to the new mezzanine on Waterloo concourse. My visit was very brief as I was running late and on my way to the nearby Kings Arms. But it’s plain to see that the look and feel of pub itself hasn’t changed at all. 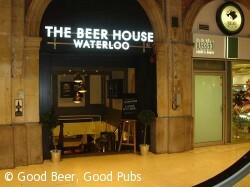 However, in common with the sister pub at Charing Cross there is a substantial focus on keg craft beers and bottles. Unfortunately, cask ales don’t get quite such a makeover – with the selection on my visit being Fullers London Pride, Greene King IPA and Sharp’s Doom Bar – beers that you can find anywhere in the capital. Given this choice and the fact I was in a hurry I didn’t stop for a drink. I am told independently though that the London Pride is kept well. Hopefully they can broaden the selection out a bit more – it’s only early days after all. I’ll be updating the pub reviews shortly. Have you drunk here? What was it like?